Moxie's Straight Outta Cozumel margarita is more than just a great name. Photo by Joy Zhang. The temperature in Houston is finally out of the 40s—just in time for National Margarita Day 2018 on Thursday, February 22. We’ve compiled some of the restaurants and bars happy to serve up the best margaritas, either frozen or on the rocks. Cuchara, 214 Fairview: The Mexico City-influenced restaurant in Montrose is offering a dozen different margaritas for $5 each during its 11 a.m. to 4 p.m. happy hour and $13 after that. Cuchara’s 12 flavors include watermelon and tamarind, as well as a plethora of gourmet options such as cactus-serrano pepper, tangerine achiote (a dark orange, peppery spice) and hibiscus cinnamon. If those flavors sound too good to pass up, try a flight of all 12 in two-ounce samples for $36. Cyclone Anaya’s, various locations: Last year’s special was so popular that it’s back again. The 21-ounce jumbo house margarita is only $5 with purchase of an entrée. The all-day special is the best bang-for-the-buck bargain, as the price is a throwback to the original price when it was introduced way back in 1978. 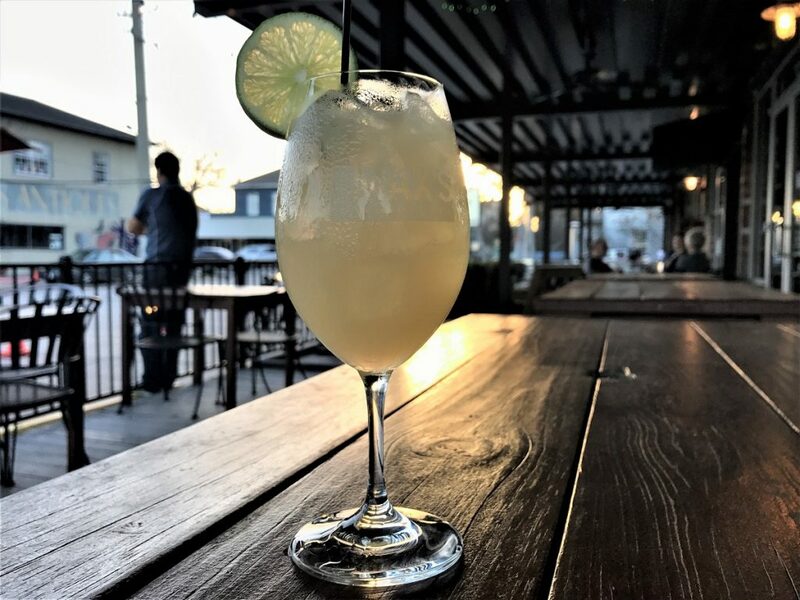 El Patio’s Club No Minor, 6444 Westheimer: The classic joint is is famous for its strong margaritas and wild parties and there’s no slowing down for the holiday. Happy hour specials are available all day long and there will be mariachis playing music starting at 6 p.m. For National Margarita Day, the regular house margarita is available for $5, while the infamous frozen blue margarita is $6. Arrive early, as Club No Minor is always an extremely popular destination. The General Public, 797 Sorella: This hidden gem inside of CityCentre in West Houston offers its 3-4-5 Happy Hour Monday through Friday. In other words, everything behind the bar is $3 at 3 p.m. $4 at 4 p.m. and $5 at 5 p.m. It’s the best deal on drinks in the city—especially for those who can get there early. For National Margarita Day, The General Public is highlighting The Good Life margarita—a mix of Dulce Vida blanco tequila, Mandarine Napoleon orange liqueur, fresh lime juice and agave for the above mentioned happy prices—and it’s only $10 after happy hour ends. Hugo’s, 1600 Westheimer: The longtime Montrose restaurant is offering a taste of something special at a very special price. The Greatest Margarita Ever Sold regularly is usually $29 but for National Margarita Day it’s discounted to $15. So, what makes it the greatest? That would be the 25-year aged Grand Marnier combined with Gran Centenario añejo tequila. 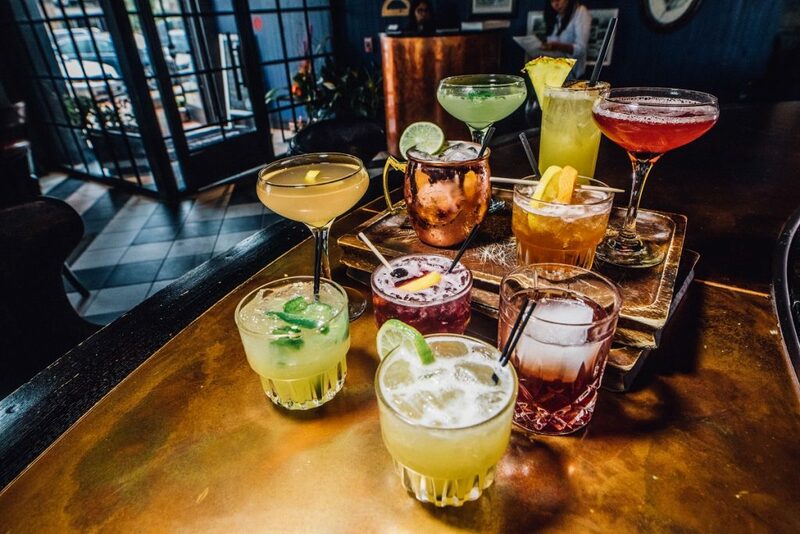 If quantity is the name of the game, try the margarita-paired tasting menu. Three courses are each paired with a different margarita, and the menu is available for $58 only for the holiday. The same special is featured at Xochi (1777 Walker) and Caracol (2200 Post Oak). Max’s Wine Dive, various locations: Don’t like tequila? No problem. The Houston-based restaurant chain (now with locations also in Austin, Denver, San Antonio and Fort Worth) might be known for pairing fried chicken with Champagne, but the creative bar staff has come up with a wine-based margarita specifically for the holiday. Staying true to the sweet, salty and sour flavors of the traditional, they’ve used Lillet Blanc as the base spirit because of the “beautiful aromas of candied oranges and guava.” (Lillet is a blend of 85-percent Bordeaux region wines and 15-percent citrus liqueurs.) Max’s adds a bit of fresh lemon and lime juice as well as a dash of cane sugar simple syrup, and the result is an elegant, $13 rendition of the classic margarita. Moxie’s Bar & Grill, 5000 Westheimer: The margarita at Moxie’s “strays from the typical path of chips and queso” with the house favorite Straight Outta Cozumel. 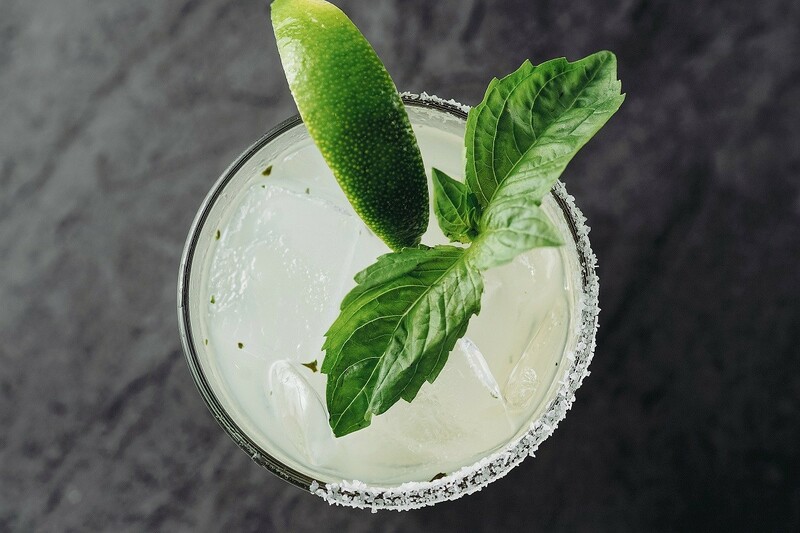 Comprised of Don Julio blanco, Texas orange juice, pineapple simple syrup, fresh basil and lime juice, this margarita will delight all who try it. High-end tequila paired with a bit of sweetness that’s kept in check by the basil. (We’re licking our lips just thinking about it.) Happy hour specials are available from 3 to 6 p.m. and the Straight Outta Cozumel is available for $12. Arnaldo Richards’ Picos, 3601 Kirby: The Upper Kirby restaurant that showcases seven regions of Mexico is discounting its private barrel selection margaritas by $2 for guests in the bar lounge and front patio all day long. There are three private barrel tequila selections. (Private barrel selections aren’t just for whiskey, folks! ): Herradura Double Barrel reposado, Maestro Dobel Diamante and Casa Noble reposado. Don’t miss The Noble Rita with Casa Noble reposado, Cointreau and fresh lime juice. 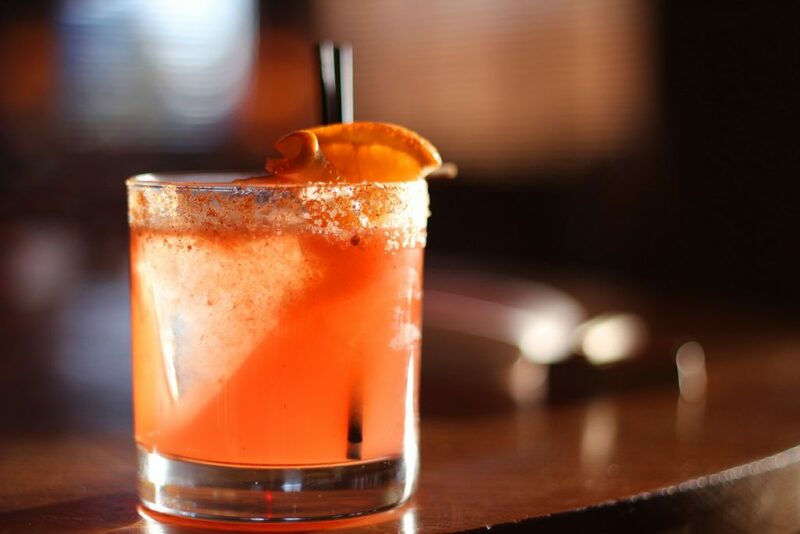 The blood orange margarita at Roka Akor is a spicy twist on the classic margarita. Photo courtesy of Roka Akor. Roka Akor, 2929 Weslayan: It may be one of Houston’s newer, high-end Japanese restaurants but Roka Akor’s Blood Orange Margarita still shouldn’t be missed. Cimarron tequila, blood orange liqueur and bitters are combined with fresh lime juice and a chili salt rim to create a beautiful, sweet-yet-spicy margarita for $13. State of Grace, 3258 Westheimer: The La Parilla cocktail is one of the most interesting takes on a margarita offered this year. State of Grace’s bartenders shake reposado tequila, a blistered serrano pepper infusion and triple sec together to make this drink—but it doesn’t stop there. Finishing touches include a grilled lime wedge, smoked salt rim and mezcal floater to further bring the smoky flavor home. For only $11, the La Parilla is a home run. ¡Que rico! Let us know where you plan to go in the comments—and be sure to designate a driver or use a ride-sharing service! Glad you enjoyed the recommendations! Try them all and you’ll win a prize – just be sure to take an Uber if you do!